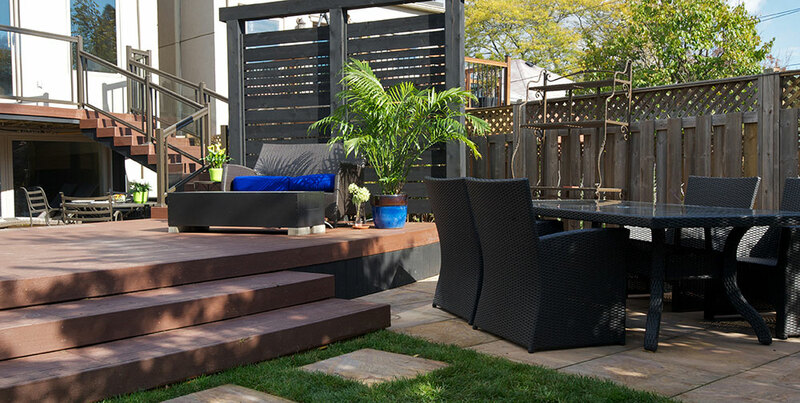 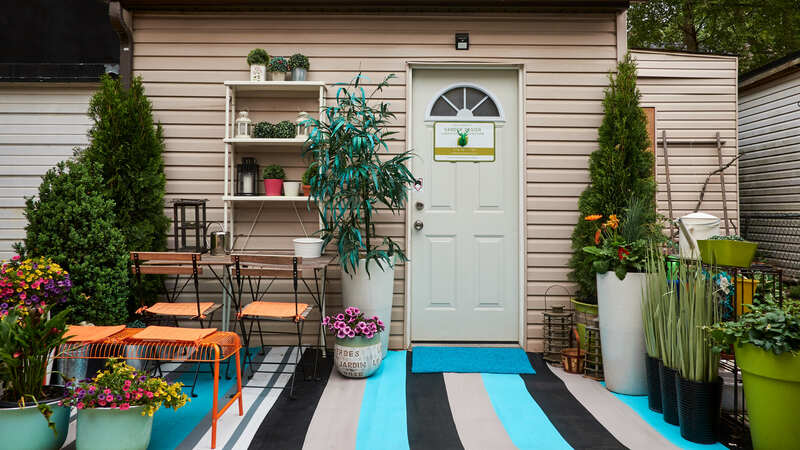 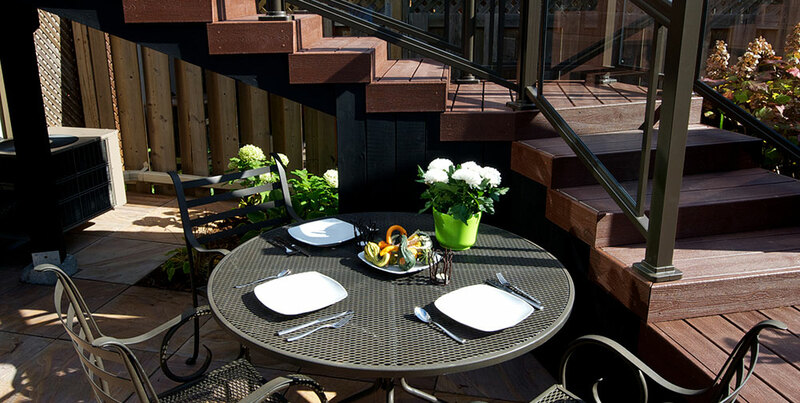 This backyard in Etobicoke was just a blank canvas when Sander Design was invited to take a look at it. 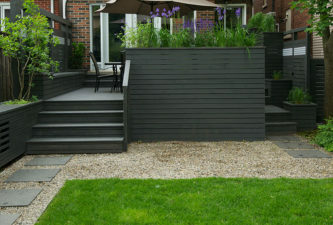 It had a deck at the back facing the yard with stairs sharply coming down, with no relationship to surrounding environment. 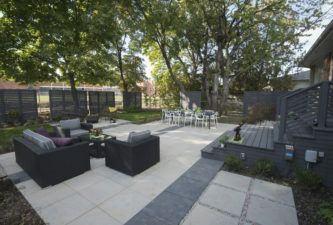 It was an opportunity to create something unique and interesting for the resident who loves to entertain.The client desired something contemporary with a nice garden, an additional patio, and an overall fun and comfortable outdoor space. 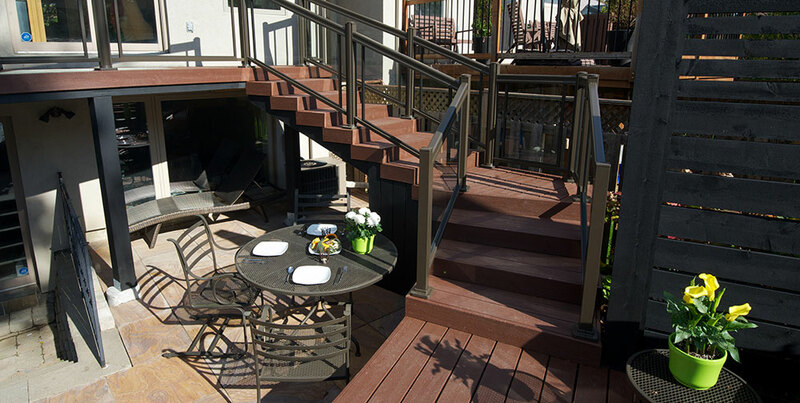 The narrow existing deck that blocked the light coming into client’s basement level office, had to be rebuilt. 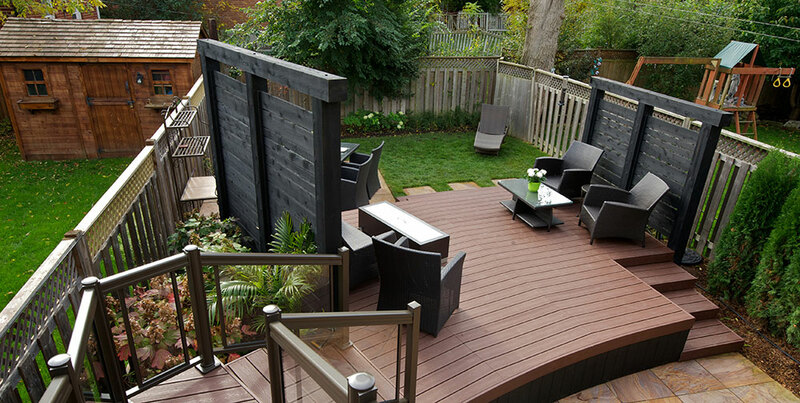 Through sketching, a concept of openness emerged through drawing of fan shapes. 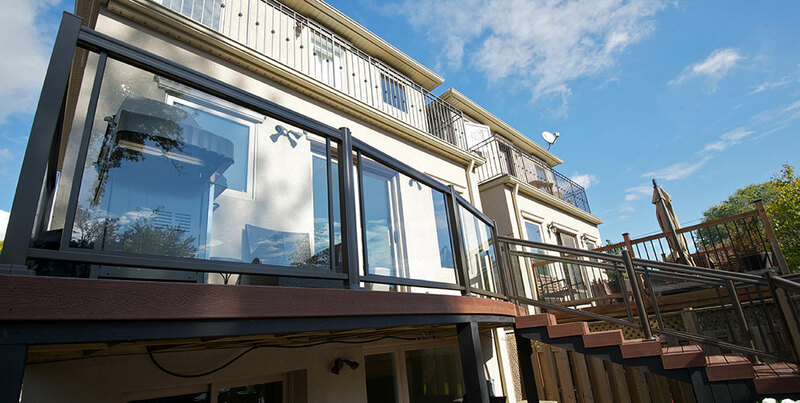 The new balcony style deck featured a curve, which made way for a larger curved deck closer to the ground, opening all the way up to the back garden. 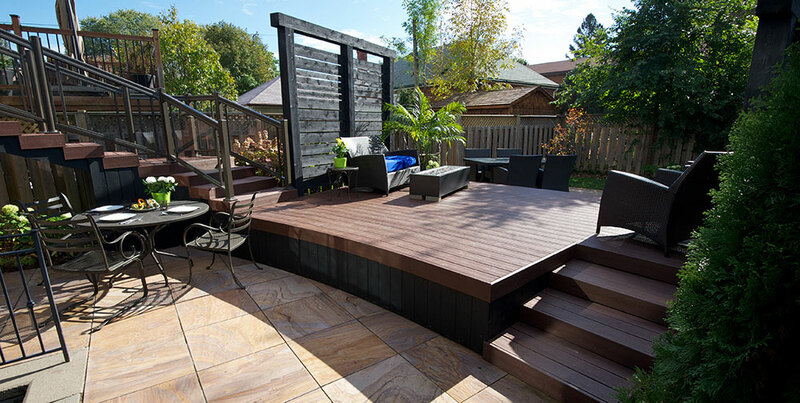 Stained wooden screens framed the secondary deck on each side to provide privacy. 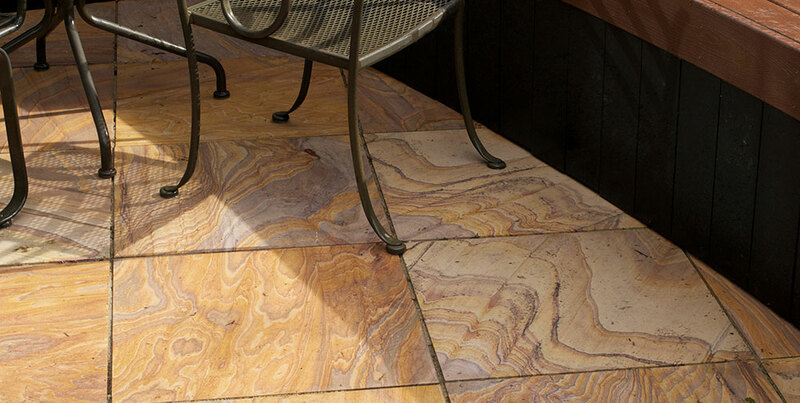 Indian flagstone picked up the colours of the wood and the exterior of the house. 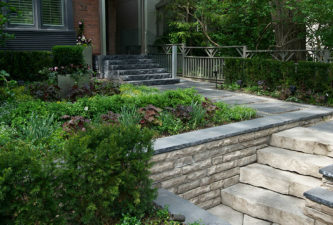 The dynamic design reinvigorated a yard and gave a reason for the resident to enjoy the outdoors without going to far.